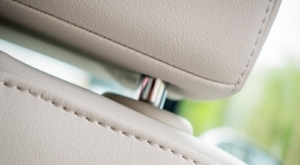 Uniroyal Global Limited manufacture products for interior trim components from floor to headliner that are produced to meet specific component production requirements such as cut & sew, vacuum forming / covering, R&S Rim, compression moulding, HF welding. Some products are supplied with micro-perforations which are necessary on most compression moulding processes. Uniroyal Global Limited produce and sell the AMBLA range of coated fabrics for contract upholstery. AMBLA is produced to meet the high-wear resistance standard required for seating in public space areas, and is fire retardant to meet relevant UK and European norms. High performance materials are produced for this demanding sector including seating materials that have been developed to combine high quality attractive surface finishes with the stringent requirements of the public transportation sector.